petition: Justice for Beong Kok, the Elephant Starved to Death! 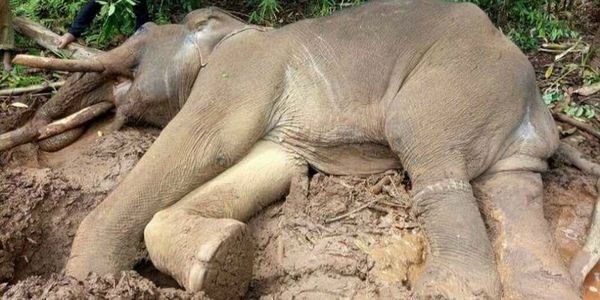 Justice for Beong Kok, the Elephant Starved to Death! The 35-year-old elephant, named Beong Kok, sparked outrage when he got loose and ran through a village, damaging houses in Sen Monorom last month. His furious owner caught him two days later, on March 28, and refused to feed him - believing that weakening the elephant would stop the unpredictable behaviour. Wildlife workers found Beong Kok, but were unable to save him. He died later that night. Khun Diyon, a worker from a local elephant conservation organisation who tended to Beong Kok, said the elephant hadn't injured anyone when he got loose. Sign this petition to call upon the proper Cambodian authorities to charge, try, convict and sentence the cruel man who allowed Beong Kok to die such a painful and lingering death. Elephants are sensitive, intelligent creatures and should never be allowed to suffer like this. I send a copy of the petition to the Royal Cambodian Embassy in Washington. Now we can hope that this gets to the proper authorities.